Today is the first day of spring, and though it does not look like it here in Manitoba, it is only a matter of time before it does. These cupcakes were made to welcome spring and for warmer (hopefully) days ahead. I have a lot of fun decorating cakes but I really enjoy paper crafting as well. I cut out some paper flowers and leaves and glued them onto lollipop sticks. Then all you have to do is stick them into some iced cupcakes for a simple and quick way of decorating. 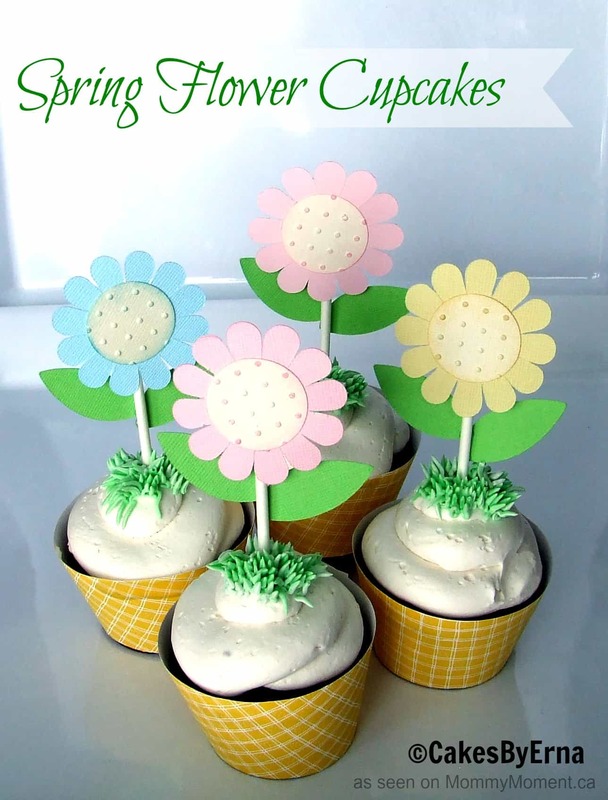 Do you have a favorite cupcake recipe that you will use to make these Spring Flower Cupcakes? 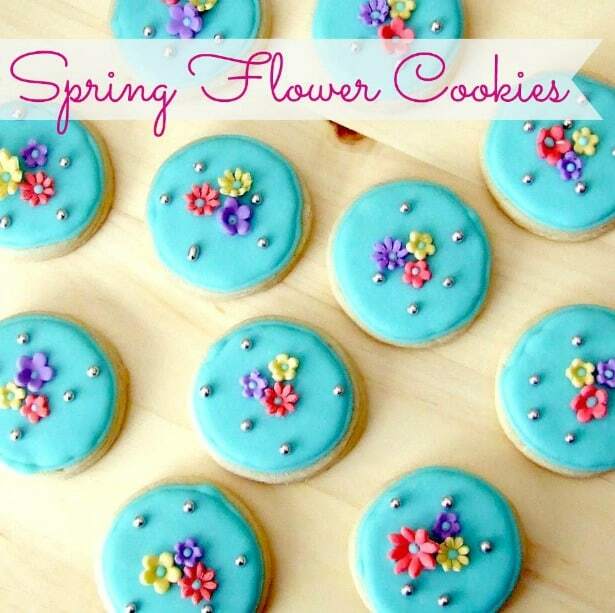 You’ll love this adorable Easter Bunny Cake creation and these beautiful flower cookies too! You can see more delicious creations from Erna, HERE. Erna is a happily married stay-at-home mom to three beautiful children. She fell in love with decorating cake after taking some local decorating courses. She is a hobby baker and decorates her creations for her family and friends. I want a recipe for that smooth icing! It is a very light, whipped buttercream that is not too sweet. You can add lots of flavors to it. It makes a very large batch and would not recomend making it if you don’t have a stand mixer. It is easy enough to divide the recipe in half if you don’t need so much. what kind of icing is that? The buttercream is the Whimsical Bakehouse buttercream. You can find a link to the recipe in the previous comment.